Who Is The Establishment Candidate? With the condition the country has fallen, it is no surprise that conservatives are fed up with what the GOP has been offering. Voters showed back in 2006 that they were not going to support just any candidate simply because they had the ‘R’ behind their name when running. Many stated they were not voting at all or throwing away their vote to “teach the GOP a lesson.” As big of a folly as that was, people did it, showing their displeasure with “the establishment,” regular run of the mill Republican moderates. Today, the term once again is being used and applied to those Republican that show the same aspects contrary to true conservatism. Being labeled “the establishment candidate,” being supported and endorsed by the Republican “establishment” indicates a candidate simply out of touch with the needs of the nation. Some opportunistic establishment candidates try to minimize their own establishment connections and mislead voters that their opponents are the actual establishment candidate. 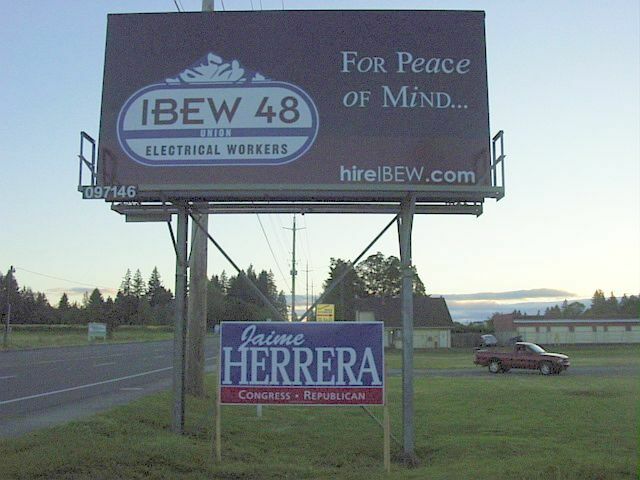 As we close in on our August 17 primary election, we see one such example in Washington State 3rd Congressional District candidate, Jaime Herrera doing just that by trying to paint her opponent, David Castillo “the establishment candidate” because he held sub-cabinet level positions in the Bush administration in the Department of Homeland Security and Department of Veterans Affairs. I guess Jaime forgets her own deep connections to “the establishment,” though. 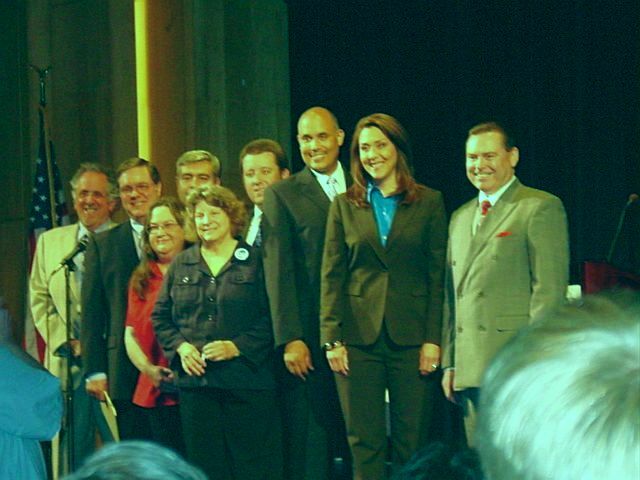 In the 3rd CD, Herrera is the only candidate running who gained the endorsement of 3 county GOP parties, all made long before we even reached the candidate filing cutoff date and enjoys the strong support and endorsement of several Board Members of other county parties, not to mention the Washington State GOP. She doesn’t have that much support from her fellow legislators though, David Castillo gained those. 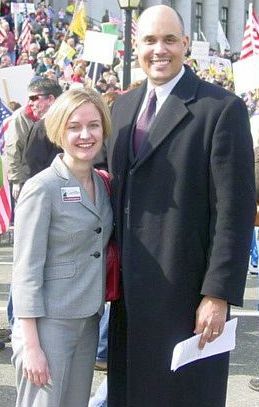 Castillo first entered the run against now retiring Democrat Brian Baird in April 2009, long before it was known Baird would retire. He entered expecting a tough campaign against an entrenched incumbent. Herrera got wind of the retirement and threw her hat in less than 2 hours after the announcement was made, after months of saying she was not ready and had no intention of running. She quickly gained notice back in Washington D.C. seemingly within minutes as we were quickly told, “Republicans now have top candidates running in all four districts where Democrats announced their retirements in recent weeks” by a Washington D.C. publication. Can you be any more “establishment” than the National GOP? While Castillo was traveling the district seeking donations and getting known to voters, Herrera left during legislative session to catch a red-eye flight to Washington D.C., not to do anything to benefit the legislative district she is supposed to be representing, but to seek donations from Washington D.C. insiders 3,000 miles away from our state. We saw that play out when she parachuted in, after many years absence, specifically to gain the seat vacated by former representative Richard Curtis and somehow instantly became the “favored candidate” amongst 11 others who had remained in the district. She also says, indicating her opportunism, that she and her new husband “tentatively decided that this was not the year” to run for higher office, until Baird announced his retirement, that is. Herrera has been blatantly dishonest with voters, misleading them on her support of the pro-SEIU bill HB 1329, that would have forced childcare centers into the union, after they had declined the union’s offer. And now, Herrera has the audacity to claim David Castillo is “the establishment candidate” due to his hold sub-cabinet level position during the Bush Administration? Also very telling to me is her silence over the revelation of an irregular poll showing her opponent Castillo supposedly at only 5% and she targets Castillo, instead of David W. Hedrick, who this very questionable poll places 2 points ahead of her. Doesn’t a bogus poll touted by Hedrick affect Jaime Herrera too? Why would she tell an Olympia radio host that her and Hedrick’s campaign get along greatly, as if old friends? Wouldn’t the target actually be the one you are most afraid will defeat you in the election and not the one supposedly dead last? Jaime Herrera can try to divert the “establishment” claim onto David Castillo all she wishes, but clearly, everything about her points to she is in fact “the establishment candidate,” not David Castillo. 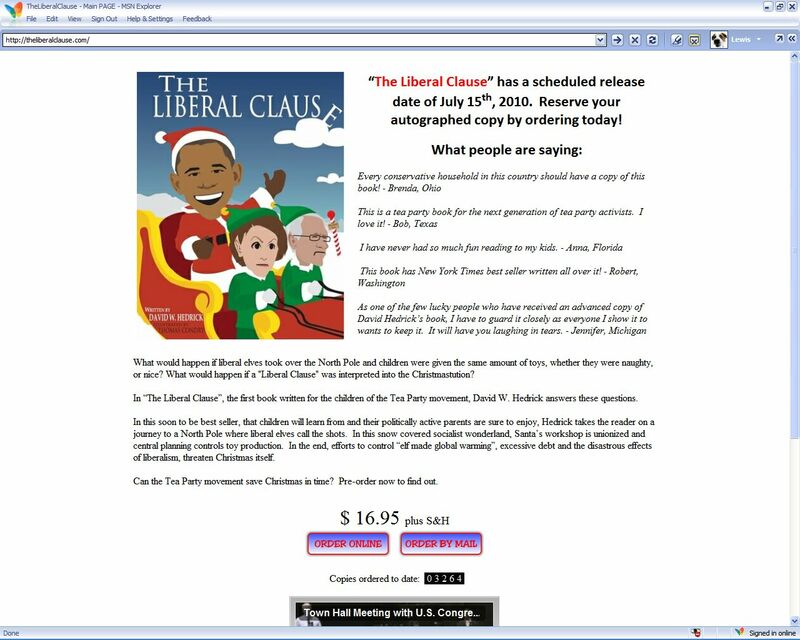 David W. Hedrick, who claims to be the current leading Republican candidate in the Washington State 3rd Congressional District, touted writing and publishing a children’s book, the Liberal Clause some time ago, designed to help conservative families teach their children the pitfalls of liberalism. Or, so he claimed. It turns out that some people who do not support his run for office, questioning his qualifications ordered the book for family members thinking that in spite of their personal forebodings on his character, the book might be a useful tool. Unbeknownst to them until AFTER payment was made; they were actually making a contribution to his campaign. Nothing on the books sale site discloses to purchasers that they are in fact making a contribution to his campaign. 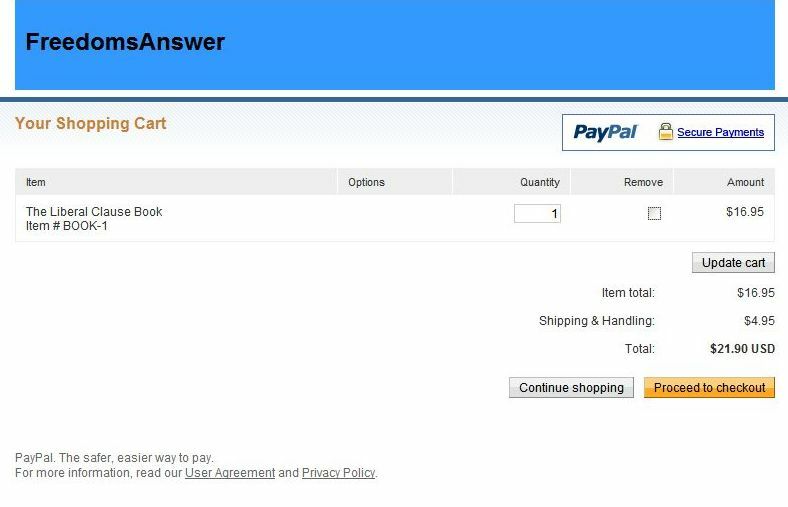 From the time you look at the books site, all the way through ordering it, you are not told at any step that you are actually making a campaign contribution until after you purchase the book. 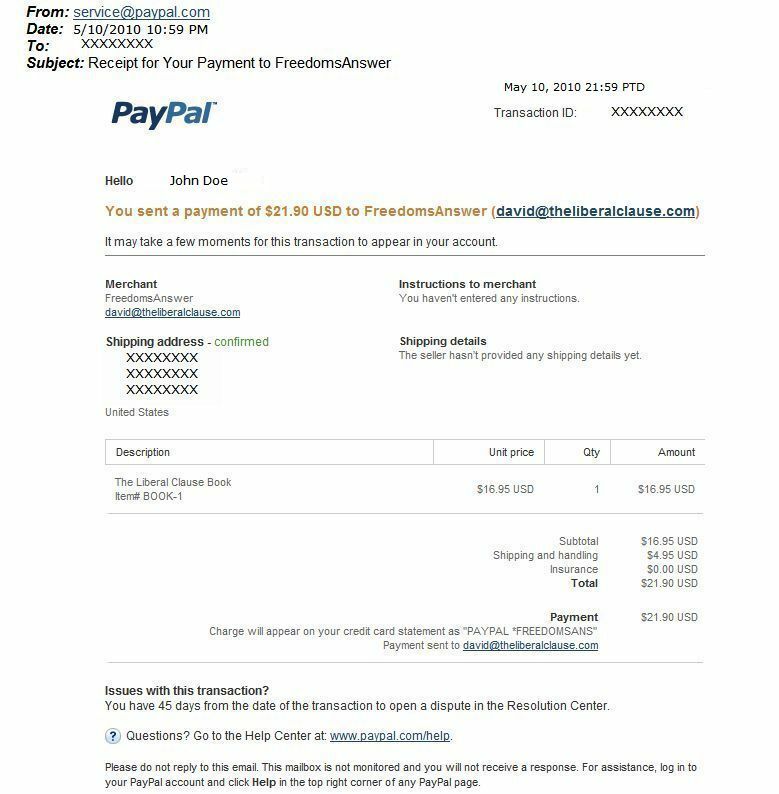 After making payment, they each received the following email. Of note also, the book was scheduled for release July 15, 2010. As of this posting, August 5, 2010, none of the people who contacted me have yet to receive their purchase. Is this the type of underhanded dishonesty we could expect on the off chance that Hedrick wormed his way into office? UPDATE: September 3, 2010. The people who sent me these documents have yet to receive their books. Emails to Hedrick requesting a refund have been ignored apparently as none have yet to receive replies. Come on “marine,” can’t you repay people out of your 30 pieces of silver? Herrera & Hedrick Primary Victory Party, 12 Days Before the Primary? No one can fault poor little Jaime for wanting to step up into a high paying job where she will be paid $175,000 a year, with massive benefits and perks, but to already assume it’s hers for the taking is a bit much. Well, maybe not so much as thought, if she knows something others don’t know. Odd, isn’t it? Cute little Jaime is throwing a Primary Victory Party at the same time she is appearing for a Meet & Greet with the one who now claims to be ahead of her, while that same one and his supporters continue to smear and sling lies, insinuations and pure garbage at the one they claim has absolutely no support, David Castillo. So, what is it? A Primary Victory Party already? Or, just another Meet & Greet? If just another “Meet & Greet,” why would the 2 alleged race leaders, supposedly duking it out for the nomination, be holding an adoring event together, while trashing the one single candidate they claim the polls show has absolutely no chance or support? If you listened to the Victoria Taft program August 4th, heard daily from 11 AM to 3 PM on KPAM 860 in Portland, a man called in stating his qualifications as a computer forensics sort of guy. He too saw the disparity in the claims of the candidate supposedly not standing a chance according to this poll, yet sweeping the endorsement of all 4 major newspapers that cover the 3rd Congressional District and endorse in primaries, and began looking. Now, I’m not a computer techie sort of guy and much of what he said went right over my head, but I have heard many a techie guy state that IP addresses mean a lot when real close, that shows connection of some sort. So, I did take notice when he stated how close the IP addresses of this questionable polls host site was to a company that is registered to David W. Hedrick as sole proprietor, FreedomsAnswer.com, which not too surprisingly, shares the exact same IP address with the site where Hedrick sells his book, The Liberal Clause. Is Hedrick involved? Who knows, but he did himself no favors by calling in towards the end of the show and basically going into a degree of meltdown, accusing everyone of attacking and bashing him, ignoring that the comments left both here and on the Columbian’s comment sections show that is his supporters continually bashing and maligning Castillo. Even Victoria asked him if he was trying to start rumors on her program and why is it he only targets Castillo, never saying anything against Herrera, who according to the poll he touts, is in a statistical tie with him. It makes one wonder about this adoring joint event they are holding currently and just what is really going on from the Republican Party in this race. If Hedrick is going to play cutthroat, wouldn’t it be against Herrera, in a statistical tie and not Castillo, who they state has no support and such poor polling as claimed? Conspiracy theory? Tin foil hat time? Remarkable coincidence? Who knows. But, there does appear to be some sort of collusion in what is rapidly becoming the nastiest race in the country. If this is indicative of the GOP, I will soon be washing my hands of the Republican Party. David Hedrick said, “I Kept My Oath.” Just Exactly How, David? David Hedrick has released his first radio ad for our market and I must say, it sounds pretty good, very professionally done. I’m sure the 30 second spot will resonate well with those who support him. If you haven’t heard the ad, you may listen to it on his You Tube page HERE. Our assumptions in this regard seem to be quite a bit less than accurate, though. Oh, I believe he served in the Marines at one time, but my first face to face meeting with him left me with a sour taste and a huge red flag raised as to our assumptions. Most every Veteran will tell you that such claims are almost always pure bunk! At the time, Afghanistan Veteran and candidate Chris Boyd was still running in the race and the look on is face at hearing the claim was one of complete incredulousness, knowing as I do, that such claims are almost every time bogus. Later on, I asked and received a confirmation from the Columbian’s Kathie Durbin that he made the claim to the editorial board in an interview with the Columbian’s editors. If that is accurate, he would have been discharged sometime in 2002, which fits with his My Space Bio Page showing he was enrolled in the Vancouver Campus of Washington State University in 2002. He also claimed remaining for a time in San Diego after discharge, working on the recall of governor Gray Davis, that actually did not play out until a year later when he said he was enrolled in the Vancouver Campus of Washington State University. It also shows he must have chosen to leave the Marines sometime shortly after the horrific terrorist attacks of September 11, 2001, when the country needed as many qualified Marines as possible to deploy to Afghanistan and fight terrorists. A 30% disability rating isn’t all that severe of an injury, I know of many who have remained in to do their duty in “Keeping their oath’s” that could have qualified for a much more severe rating, especially during times when their country needed them the most. Yet, shortly after our country faced the worst foreign attack in our history and Marines were being deployed, Hedrick, for reasons only he knows, chose to leave the Marine Corps. Hedrick has made his time in the Marine Corps central, indeed the very foundation of his campaign. Yet, he is not very forthcoming about it. His few vague claims made leave many assuming something he might not be entitled to and he provides no clarification. Campaign for Liberty members, Ron Paul supporters and We the People members might not agree or believe me, their prerogative, but this is not posted as a supporter of an opponent. I post it as a Viet Nam Veteran and concerned voter who has seen far too many instances of politicians propelled into office on claims of undeserved valor they are not entitled to, only to be exposed later to their and their supporters’ embarrassment. Running for the House of Representatives is not the same as two aging Veterans swapping war stories and one upping each other at the local VFW. It may be a candidate creating an aura of valor that he did not earn. We demand an “open and transparent” government with “open and transparent” elected officials. Shouldn’t we expect “open and transparent” candidates as well? We are entitled to know. Posted in 3rd Congressional District | Comments Off on David Hedrick said, “I Kept My Oath.” Just Exactly How, David? Several people turned out this morning to enjoy a breakfast for the benefit of David Castillo, the very first candidate to enter the race for 3rd Congressional District against now retiring Brian Baird. In all, I label the event a success as the room filled to near capacity by voters turning out to meet David and hear Rob McKenna speak. Candice Jackson, a local attorney, got the event rolling by asking me to lead everyone in the Pledge of Allegiance, a privilege in my estimation. Although I had not expected to do so, I was asked to also say a few words in favor of David. Public speaking is not my strong suit, but expressing why I support David Castillo is easy as he is an impressive man and as I said to the audience, I am a very difficult person to impress. Candice followed me with her own words in support of David. She is a very impressive young lady, articulate and apparently, like me and many others, very impressed with the qualities, experience and character David brings with him to this campaign. Several candidates and office holders were also in attendance, Commissioner Tom Mielke, Paul Harris, Brian Peck, Craig Riley, Ann Rivers, David Horowitz to mention a few and of course, Washington House Minority Leader, Richard DeBoldt also a scheduled speaker and endorser of David’s. My apologies for any I failed to recall. Minority Leader DeBoldt rose next outlining the several years he has been acquainted with David and his family. To me, that DeBoldt endorsed Castillo over his main Republican opponent, Jaime Herrera, speaks tons as he has worked with both candidates for some time and chose who he feels would best represent our district. David took his turn to speak at the podium. Casting aside the speech he has made several times to voters, he now spoke from his heart of his childhood and how his Mother instilled in him from a young age that although public assistance is necessary from time to time, it is not a way of life. Like many of us, he learned that in order for him and his sisters to receive the temporary assistance his Mom relied upon for a time, someone else had to work to provide it. “My mother told me, ‘this isn’t yours, it is a gift from someone who worked for it’,” David quoted his Mom as saying. He spoke of his time in the U.S. Navy and being able to travel and see the world and how even our poorest people still live a better lifestyle than many in other countries, such as Kenya. I was most impressed when he began speaking of his lovely wife, Callie and how she is the strength when he needs it. She was there during the time his dot.com business failed in the dot com melt-down and worked with him to rebuild their lives while studying to become the accomplished lawyer she is today. When he speaks of his son you can see the love and awe he holds for the young life he and Callie created and the responsibility they share to care for him. As a Dad and Grandpa myself, seeing a man place his children so high in his life in very endearing to me. Earlier I spoke of the character of David Castillo and that was shown to the audience as he related a recent experience from a small group of supporters of one of his opponents. They accosted David and his family, trying to instigate an outburst while video-taping their misconduct, presumably to edit the tape and place it on You Tube in another effort to denigrate and misrepresent the man. Rob McKenna was unavoidably delayed in arriving and David continued with more off the cuff speaking until he arrived. Once McKenna made it there, He was introduced and gave a short keynote speech in honor of David, who McKenna endorsed early in the campaign. There has been allegations raised that we Castillo supporters have been seen outside of events held for David’s opponent, Jaime Herrera and holding signs in support of David. I have no idea whether or not it is true as I have not seen it and no one has posted photos yet. 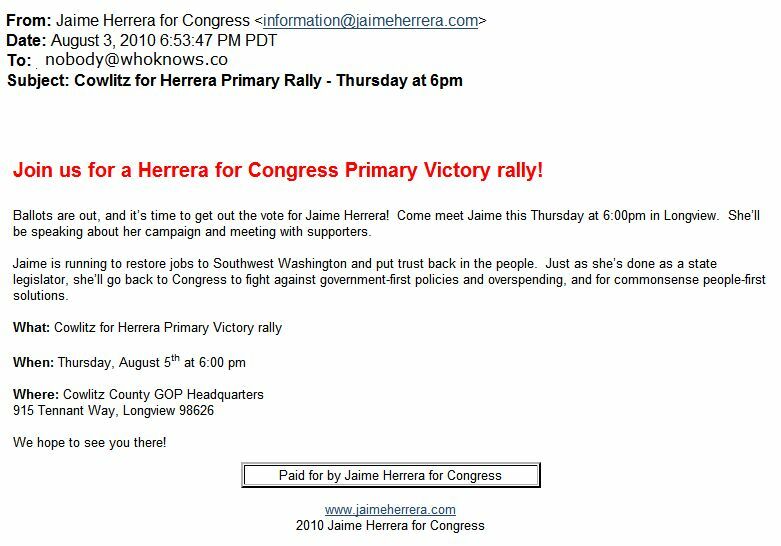 What I did see was a Jaime Herrera campaign staff member present text messaging to someone throughout much of the event this morning. I can only guess who to. Chris Boyd, former opponent of David’s and now supporter closed the event by thanking all for being present and encouraging them to support David in any way they can. In all, a very productive breakfast attended well by some very good people. I cannot say enough about the Heathman Lodge staff who were efficient, courteous and attentive to all present. Their efforts helped make the event as great as it was. If you still haven’t decided who you support or haven’t taken a close look at David Castillo just yet, I invite you to visit www.CastilloForCongress.com and help send the best conservative candidate we have seen run for the 3rd Congressional District seat in many years to Washington D.C. on our behalf. David Castillo, candidate for Washington’s Third Congressional District, has been campaigning for this seat for some time now, over a year. His efforts are beginning to pay off as people are taking notice of the man and his ideas. David is not an establishment candidate with party resources backing him. He is the very essence of “Grassroots” as we have always been taught it is. Recently, David Castillo, along with another impressive candidate, Democrat Denny Heck both received the primary endorsement of one of Washington States larger newspapers, the Seattle Times. Even the Columbian, Clark County’s paper of record, chose David Castillo along with the Republican establishment candidate, Jaime Herrera to endorse for the August 17 primary. As people are beginning to take notice, David Castillo is seen as a serious candidate with humble beginnings who has vision for the future. Even his Democratic opponent, Denny Heck, agrees with David on the creation of Enterprise Zones to spur job growth in this economically depressed end of the 3rd Congressional District. Other candidates remain vague, speaking mostly of getting government out of the way without definitive ideas on how. Since the advent of the Tea Party movement, some candidates have claimed to be their favorite choice, while not acknowledging that the Tea Party is a loosely knit unorganized group across the country of voters and taxpayers who want real change, not more smokescreen. Of deep concern to the Tea Party is the recent take over of our healthcare system by the federal government, especially from Doctors who see how health care in America will be adversely affected. As the old saying goes, “the proof is in the pudding,” an idiom meaning “that the true value or quality of something can only be judged when it’s put to use or tried and tested” is seen in that David Castillo, along with local attorney, Candice Jackson, has been invited to speak at an upcoming National Doctors Tea Party to be held in San Diego, California early in August. Sharing the stage with Castillo and Ms. Jackson will be such luminaries as conservative radio host, Roger Hedgecock, WorldNetDaily.com author Joseph Farah, Nevada Senatorial candidate and Tea Party sensation Sharron Angle and musical guest Ricky Lee Jackson, M.D. Of the six candidates hoping to gain the congressional seat now held by retiring Democrat Brian Baird, only David Castillo is invited to speak before such an important Tea Party event. David Castillo, a man who grew up in poverty, opened a business only to see it fail in the dot com meltdown, who then mowed lawns to provide for his family and ended up sitting across the desk from the President of the United States continues to impress. He consistently expresses solid ideas to benefit the country and struggling taxpayers within the 3rd Congressional District. He is ready to go to Washington D.C. and represent us, all of us and join with others who wish to return America to her greatness. He needs our help and support in whatever way it can be offered. I invite you to visit www.CastilloForCongress.com and see for yourself just why 2 of the larger newspapers in Washington State have chosen to endorse David Castillo in the primary election. Second Amendment Right? Or Paranoia? On Monday, July 19, 2010 the Columbian posted an interesting blog post on their Political Beat blog, Hedrick brings ‘heat’ to Stranger interview, referencing a video and interview from Seattle’s alternative media, the Stranger, Which Congressional Candidate Brought a Gun to The Stranger Yesterday? Watching the video, I initially thought, “big deal, the guy has a concealed carry permit and carries a gun.” I admit that reading about the kids’ theater incident sounds a bit contrived and although I strongly support the Second Amendment and concealed carry with the proper permit, and that I wouldn’t carry a firearm into a kid’s movie, he does have a legal concealed carry permit. Unless the theater bars guns, it is legal to carry, even if not the smartest thing a parent would do with his kids. But, something didn’t set well with me. Something just didn’t sound right to me. 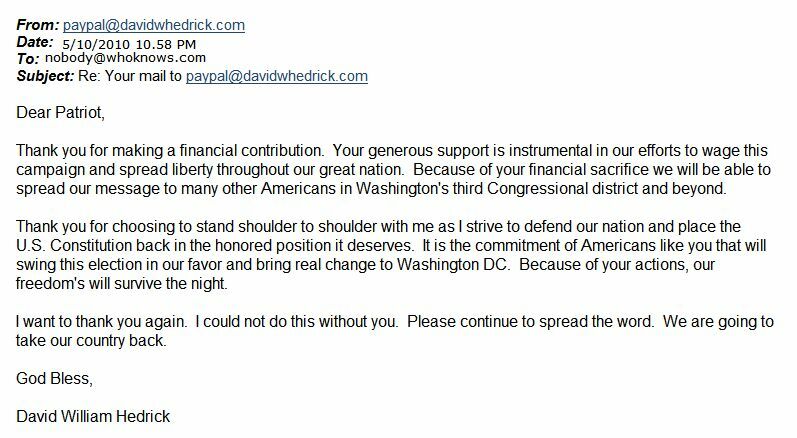 Admittedly, I do not support Hedrick in his congressional run, even though I supported him in standing up to Brian Baird last August. I even have questions that remain unanswered concerning his service in the US Marine Corps and disability claimed. But none of that entered my mind as I watched the video over and over trying to figure out what did not set well with me. After a few viewings, it dawned on me what it was. If you didn’t pick up on it, watch again and pay attention towards the end of the video, after Hedrick tells the interviewer that they have a legal right to bar guns on their private property. He states that he would not be there doing the interview in person, but it would be by phone, had they barred his carrying a gun into the interview. The second amendment is a very serious right that carries with it grave responsibility. Concealed Carry, under current laws, is a privilege not to be taken lightly. I strongly support both, but also feel such a responsibility must be tempered with some good old fashioned common sense. As Hedrick even shows in the story about the incident at the children’s movie, it is extremely rare to need to pull a gun if you are carrying. However, the likelihood of actually needing your gun, although slim, can be real at any given moment. But, to indicate that if you may not carry on someone’s private property, their legal right, you, a candidate for federal office, would not do an in person interview? It would be only by telephone? Such a comment comes across to me as paranoia, or a young man still trying to prove to himself that he is a man, with little clue what manhood is really about. I have to believe that he received adequate training in the safe and proper handling of rifles while in Basic Training and AIT, since he did serve a short while in the US Marine Corps, even if he is tight lipped about that service other than making his rank held central to his campaign, but I also wonder if that attitude of “no gun, no in person interview” extends to other venues, such as political forums or school functions with his children? I wonder because RCW 9.41.280 prohibits firearms “in a public or private school building,” except under some strict exemptions. To me, given his comment in the video, it would only seem logical that he would not attend school plays or PTA Meetings concerning his own children unless he was armed either. I can only hope that this is not the case and that he obeys the law concerning concealed carry on school grounds and buildings, leaves it home or properly locked in his car and is there for his children. There are those that see no problem with his carrying a concealed weapon to an interview. If not for the comment of “no gun, no in person interview,” neither would I. But, that one little comment, giving us a glimpse into the mind of a candidate for office, leaves me feeling like he might just be too immature or too paranoid to be elected to office. More and more, when I hear Ms. Herrera speak, I feel she should follow the example of Barack Obama and use a tele-prompter to avoid embarrassing herself with contradictions and questionable justifications for part of her controversial voting record, that she tells us to look at and judge her by, but is labeled an attack against her should you mention it. Her support of and votes for HB 1329, the controversial pro-union bill that would have resulted in forced unionization of childcare centers that accepted state funds for low-income families, had it not been for the efforts of Senate Republicans, remains an embarrassing vote for her and she has tried various defenses of it, all falling flat. First off, she doesn’t have quite 3 years yet, but why get wrapped up in minor technicalities. But, “outlier?” A curious word referring to a statistical difference in sampling which brings up a question as to her using it. Did she somehow miss the recent slate of newly implemented and raised taxes and the new push to fool voters into accepting an income tax? Was it just another “outlier vote” that now leaves us with no safety cushion and a looming $3 Billion budget deficit the next legislature will be dealing with, up from the previous $2.6 Billion deficit allegedly just balanced? Yet, several times now, Jaime readily criticizes the very party she seeks support and votes from, lastly at the Leadership Clark County forum where she expressed admiration for Barack Obama in that he made health care a “priority” while the Republicans completely failed on any health care issue. Yet, she readily boasts of “not once criticizing Democrat Brian Baird’s performance in Southwest Washington.” Is the ongoing criticism of the GOP just another “outlier” moment too? Perhaps it’s a case of Jaime Herrera’s “Outlier Moments” are more common than many are willing to admit. Little wonder that seeing her place a campaign sign directly under a pro-union sign on 78th Street just seemed the most appropriate place to place one. As the campaigns for Washington’s Third Congressional District build towards our August primary, such a statement issued by Washington State House Republican Leader, Richard DeBoldt is quite amazing, considering that fellow House Republican, Jaime Herrera, is also vying for the seat DeBoldt endorses Olympia businessman and former White House subcabinet-level appointee David Castillo for. DeBoldt made this statement in a campaign letter sent out on Castillo’s behalf recently. 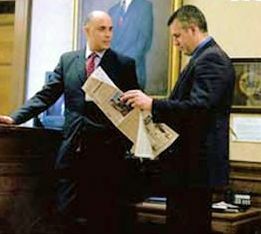 Since he has worked with both Herrera and Castillo, Herrera as a fellow house member and Castillo as the former Chief of Staff to the House Republican Caucus, that he selects Castillo over Herrera, just as the majority of House Republicans have, is very telling in who is best suited to hold this seat back in Washington D.C. I have to question Herrera’s integrity in continuing to make such a claim on HB 1329 as I posted weeks ago in Herrera Campaigns Attempt At Damage Control, the public record does not agree with her claim. The public record shows unions testifying in support of the bill and child care centers testifying against it. The mandatory portion was modified only by the efforts of Senate Republicans. If she cannot be straight with voters on that, what else is it she might not be completely honest about? Denny Heck seems to be trying to buy the seat and David Hedrick’s 15 minutes were up long ago. He also should come forward explaining why he stated publicly his service leading to the disability he claims was “classified.” We Veterans know better. Since he makes his service in the Marine’s central to his campaign, voters deserve the truth from him. Shannon tells us, “Secretary of State Sam Reed said he thinks it’s important to elect someone who has actually served in a legislative body and made decisions to vote on tough issues,” while Herrera chimed in with, “she would always vote her district’s interests and not cave in to what party leadership might want her to do,” which obviously explains why she abandoned her party to join Democrats in gutting the last $229,000,000 from the states rainy day fund, leaving us nothing in facing yet another $3,000,000,000 budget deficit looming on the horizon. While Secretary Reed might have a point that electing someone “who has voted on tough issues,” shouldn’t that be someone who can see gutting our emergency funds before our economic troubles are passed leaves us with nothing as we continue struggling and sliding deeper and deeper into economic morass? It might also be worthwhile to point out that many of Castillo’s endorsements are coming from current legislators who have recently worked with Jaime Herrera and chose Castillo over her. Castillo has been subjected to some of the silliest and nonsensical claims from Republican opponents that I have ever read. Ranging from posting about his campaign staffs spelling errors to trying to paint him irresponsible because he taped himself while driving for a few seconds, something even the Washington State Patrol said was not illegal, not one of his opponents can match him in knowledge and standing on all of the issues facing us. This seat has been held by liberals for the past 12 years and except for a couple years, even longer. We have a good chance to regain this important seat in the House of Representatives, but only if we make the right choice and choose the strongest candidate that has the strength, knowledge and command stature to face the likely Democrat opponent in a toe to toe debate on issues of concern. David Castillo, Republican candidate for the Washington State 3rd Congressional District seat being vacated by retiring Democrat, Brian Baird has had my support for over a year, ever since I met him, talked with him face to face and performed an email interview that I first wrote about at Castillo For Congress, 3rd District, Washington State. He is a man of conviction and a strong conservative who embraces his faith. He has held a clear and consistent stand on issues that we all hold dear. He has been subjected to some of the dirtiest politics from opponents within his own party, who can’t compare to him in experience or a clear articulation of the pertinent issues. Supporters of weaker candidates who enjoy the party establishment favor or who have a history of brash confrontations once launched a whisper campaign against him last year with some very rude and untruthful allegations. A party chair, who has no problem maligning David, even wrote and posted an article calling for a stop to what she labeled “attacks” and to “elect republicans.” Of course, her idea of an “attack” was exposing her candidate’s actual record, while she uses the post for throwing a little mud at a large group who had endorsed David Castillo and David himself. Recently, supporters of another candidate who has a questionable Military history that he has made claims of have decided to take videos of David and “edit” them to make David look like a person far different than what he is. 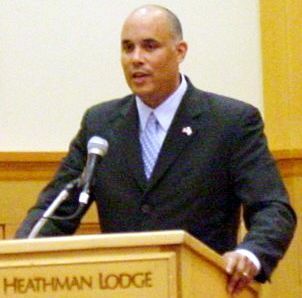 At forums, David Castillo clearly displays his command of and knowledge of the current issues, having served in sub-cabinet level positions within the Department of Veterans of Affairs and Department of Homeland Security under the Bush administration. He also served in the United States Navy during the Reagan years. No other candidate in race can provide a résumé that compares, so opposition supporters must resort to such underhanded tactics, instead of standing on their own qualifications. In a rare move for a candidate, this conduct has prompted David to bare his soul to the public. If we really wish to see the possibility of a Republican winning the 3rd Congressional District seat, David Castillo is the one who can do it. It isn’t an “attack” to openly discuss or speak of an opponent’s whole voting record in the legislature, or to being into question another’s claims of Military Service that just doesn’t add up. It is information voters are entitled to in forming an appropriate opinion of who to vote for. 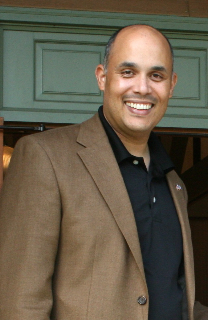 David Castillo was the first to begin campaigning against Brian Baird in May 2009. He has been traveling the district since then, letting people know who he is and what he stands for. Unlike another who seems to live on name recognition only, while dismissing highly questioning votes on bills that are contrary to conservative beliefs, he has been building his support and his campaign the old fashioned way, one voter at a time. He didn’t wait for the incumbent to announce retirement before throwing his hat in the ring. He didn’t depend on a 3 minute confrontational video, while hiding from another video where the action was thrown back. He did not receive instant backing from the party machine establishment. No, he went out and sought support when it was thought to be a hard run against an entrenched incumbent. He deserves better than what he has received from the Republican Party since he stood up for them and for us in seeking to bring this long held Democrat seat over to the GOP. If you don’t already have a clear idea of who David Castillo is, I invite you to visit his website and read, Who I Am. Then, stop in at his campaign website, David Castillo for Congress and see for yourself where he stands on current issues and what ideas he offers. Is It Any Wonder The Left Labels Tea Parties As Racist? Despite knowing for a fact that Tea Parties are not racist in our protests or attendance at events, some, a very small some, goes out of their way to ensure that label is hung around our necks. Although their numbers are extremely small, they supply just what the left looks for to falsely paint the movement as racist. A good example of this would be a post placed up on the We The People website in an effort to taint Washington States 3rd Congressional District candidate, David Castillo. Most of us live in America, we go to work, come home to our families, enjoy the evening and go to sleep. We repeat this many times a week and hundreds of times a year. We don’t go to work because we want to, but because we must to provide for our families. I happened to stumble across this YouTube video that really expresses my views on people in this country that are not able to speak or read english. They want this freedom we all love but with it comes a price. If they won’t take the time to learn our language, how will they ever understand our values. Now this Congressman put’s his website on the internet with a Spanish option. We really need to go back to basics here if we are going to go forward. Whoever did these YouTube videos must also be upset but at least they brought some humor into it. Check out these videos and comment. This Candidate for Congress that is in Washington State is a good example of what we don’t want in Congress. David Castillo is American born to America parents. He’s served in the United States Navy and held sub-cabinet level positions in the Department of Veterans Affairs and Department of Homeland Security. And now, because he included a link to Google Translate on his webpage, which only translates a small portion of his webpage, he somehow is not qualified to run for congress? That he advocates e-verify and bringing back the SAVE Act for passage means nothing, just that he provides a link to Google Translate to a drop down box for Spanish. What about the other languages within the drop down box? There’s Russian, Chinese, Vietnamese, Hebrew, Yiddish, Norwegian, Dutch, German, you name it. His Issues page translates over to Spanish, telling them in their original language his stand on Illegal Immigration. Here’s a little news flash for Mr. Sampelton, ILLEGAL ALIENS MAY NOT LEGALLY VOTE. We have several naturalized American Citizens within our country who are still trying to learn our version of English. They may legally vote and many do. We have the Republican Hispanic Assembly which just might contain some of those naturalized Americans that come from Spanish speaking countries. Does it escape him that making a portion of his website in their original language might make it easier for them to discover who and what Castillo stands for? Yes, they are learning English, which to others coming to America legally, it one of the more difficult languages to learn. Most Hispanic people hold conservative values from their culture. Do we just ship them off the Democrats to keep voting for them? Do we not want conservative people of all groups joining us voting for conservatives and conservative values? Apparently Mr. Sampelton is more comfortable with trying to keep his lily white hands pure; exactly the opposite of what conservatism is about. Both of David Castillo’s Republican opponents have similar views on securing our borders and dealing with Illegal Aliens. One is even being billed as the “Latina” in the race, but no one seems concerned that she is labeled as such, which would also appeal to Hispanics. I don’t know which opponent is behind taking such cheap shots at David, but apparently they know they cannot hold a candle next to him when it comes to experience, knowledge and ability to hold the office they seek. So, they resort to such cheap shots. David Castillo is clearly the best conservative candidate we have had in many years in Washington States 3rd Congressional District. He is the best bet we have in converting the seat held by now retiring Brian Baird back to Republicans. Listening to him at events or forums, he clearly has a better command on the issues and offers ideas that make sense and would help get our country going again. He enjoys broad Tea Party support, in spite of efforts by a fringe within to paint him as otherwise. He has received numerous conservative endorsements, including from FreedomWorks, several Republican leaders and conservative citizens. See for yourselves at David Castillo for Congress. Let’s ignore the cheap shots and actually run a strong conservative that will win this time, David Castillo. David Castillo for Congress. He wasn’t afraid to run against Brian Baird. I assume due to the tactics of Castillo’s opponents in taking his videos and doctoring them, embedding has been disabled. If you click on the link shown within, you may still see the video on YouTube. I guess that since his opponents cannot compare with him on the issues, they resort to such childish tactics. For all of the cries of not being the “establishment candidate,” Jaime Herrera, candidate for the 3rd Congressional District, seems to keep rolling up the premature establishment party machine endorsements and boasting of the endorsement by our RINO Secretary of State, Sam Reed, at a recent forum. With the primaries not held until August 17, the so far three county Republican Party endorsing her and doing their members and voters in their counties a huge disservice, as I previously wrote about when Cowlitz and Pacific Counties decided to make decisions for their voters and issue endorsements long before the primaries are held. Jaime Herrera announced today that she received the endorsement of the Wahkiakum County Republican party in her campaign to replace retiring Brian Baird for Congress in Southwest Washington’s 3rd Congressional District. Last night, grassroots individuals from the Wahkiakum County GOP voted to support Herrera’s candidacy during their central committee meeting. Wahkiakum became the third county Republican organization to endorse Herrera, adding to a list that includes the Pacific and Cowlitz County parties. She remains the only Republican candidate to have earned endorsements from county grassroots GOP organizations. I hate to burst Jaime’s bubble, but organized parties are not exactly “grassroots individuals,” they are organized parties. Same Reed is hardly a conservative. I would describe as a bit left of center, hardly what one would classify as “grassroots” either. There remain two other candidates, David Castillo and David Hedrick. To date, Castillo is the only one is consistently articulating clearly on his stand on issues or background. Jaime remains vague on issues and didn’t even make a statement on immigration until AFTER goaded into it and then, it too was vague. Does Anyone Know Jaime Herrera’s Stand On Illegal Immigration? She has yet to fulfill the promise she made to me on February 9, 2010, when she called me at home, to provide her reasoning for co-sponsorship and voting for HB 1329, a bill that would have forced childcare centers into public unions, after those child care centers had declined the offer to join voluntarily. A Phone Chat With Jaime Herrera. Instead, weeks later, her campaign manager sent out a memo accusing those of us who dare ask about her questionable judgment of spreading falsehoods about her. Herrera Campaigns Attempt At Damage Control. Left unexplained is just Who Is Jaime Herrera? What is it that brings her followers, after barely over two years in the legislature, never serving a day in the Military, never holding any private job, sketchy voting record and eagerness to leave the job just over two years ago she claimed there was nothing else she would rather have, that merits such Ron Paulian backing? Imagine the rude awakening she and the establishment parties promoting her will receive should they succeed in getting her the nomination and she folds like a house cards against Democrat Denny Heck. 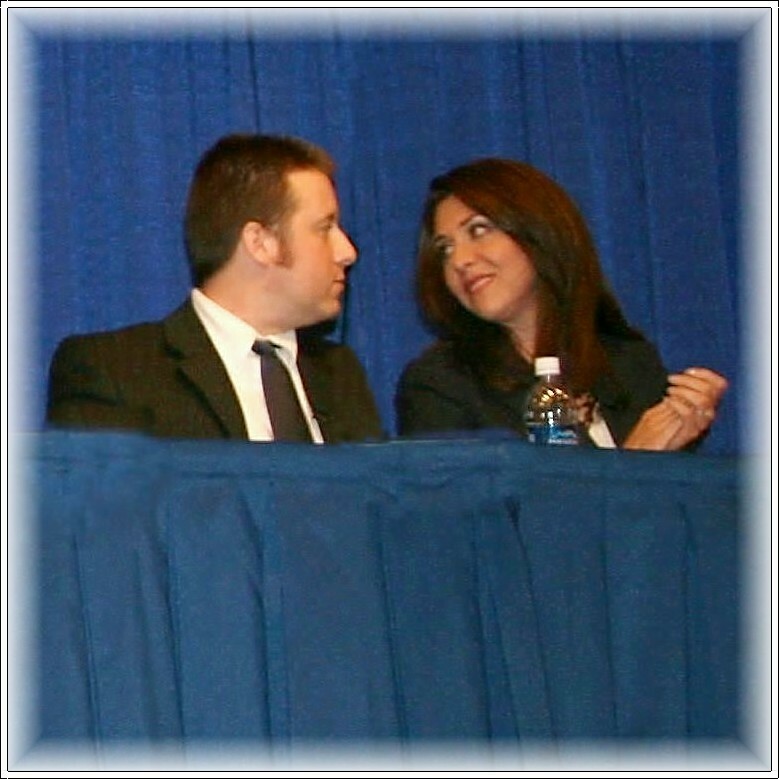 At the convention this past weekend, you said you and your husband were saving to buy a house. Is it safe to assume that house you are saving for is not located here in Washington State? Sorry hon, but you’ll get no favors from him like you did others to get where you are today. Taped on June 9, 2010, David spoke before a group of Veterans and others at the Lewis County Veterans Memorial Museum at a campaign kick-off breakfast. David Castillo remains our best hope to defeat the Democrats and retake the 3rd Congressional seat to conservatism. He did not wait until it looked like an easy run for an open seat. He does not boast of unrealistic accomplishments based off of 3 minutes of fame. He does not speak of his Military service in vague words. He does not enjoy the backing of a party machine establishment. We have waited far too long for a candidate like David Castillo to run in the 3rd Congressional District and he deserves our support. Why Exaggerate Military Service To Get Elected? Over many years of my life, I have followed several political campaigns from candidates of both parties. Many candidates display quite an impressive Military Record as part of the reason they should be elected, or so it seems. While we have had many honorable people elected who performed heroic feats in their Military Service, some have either lied or grossly exaggerated their service in hopes voters see them as brave and honorable soldiers, ready to fight for the voters. In my opinion and many others, doing so is a grave disservice to voters. It is false advertising, selling us a bill of goods while unable to actually deliver. No one who ever served honorably should be ashamed of what they were assigned to do while serving, all jobs being necessary to complete even the smallest mission. From Company Clerks to Cooks, Motor Pool Mechanics to Artillerymen, Supply Clerks to Infantry, each and every job is important and must be performed so the mission can be successfully accomplished. So, why do some feel the need to exaggerate their service? I guess they feel it makes them brave in the eyes of others. It’s one thing to spin such yarns to your children or friends and neighbors, even at the VFW bar where we can easily pick out such braggarts by their ridiculous claims. But, to sell yourself to the public by either exaggerating your service, or omitting the truth of your service allowing others to assume you served in war, when you did not, is taking on to yourself something for which you are not entitled. Look at the recent news of Connecticut’s Attorney General, Richard Blumenthal, who gradually insinuated he served in Viet Nam when he never did. Or Mark Kirk, who overly boasted of a minimal unit citation as if he were personally awarded a citation of high merit. Think back to 2004 and the claims made by Democrat John ‘F’in Kerry (who is said to have served in Viet Nam) and his being exposed by former shipmates, even though the media denigrated the shipmates, not Kerry. Even Hillary Clinton boasted in 2008 how she tried to enlist in the United States Marine Corps, but was turned down due to wearing glasses. Then, recall her story of dodging sniper fire in Bosnia, only to be revealed a falsehood. Some candidates hoping for office claim a disability from their time serving, revealing the nature of the injury, as former Senator Bob Dole did during his time in the Senate. Others have not stated the injury, where it happened or how. Some have even tried the old Bovine Scatology of claiming they are not permitted to discuss where they were or how it happened, being some mythical “top secret” operation we are supposed to just buy in to. Ask just about any Veteran who actually served in a combat zone and see how they view such claims. We know better. Voters deserve truthful statements from candidates who claim Military Service, not bravado or even silence of where they served or how they served, especially if they make their service a major part of their campaign by claiming the rank they last held in campaign ads. What voters don’t need is more candidates seeking office by either exaggerating or relying on lies of omission to pad an otherwise weak resume’ in hopes of fooling enough voters to see them as they aren’t. We deserve honorable and truthful elected officials, not someone who would exaggerate a claim or make vague statements, allowing others to believe an injury received in basic training was due to combat service, when they never served in such an area. It matters not how bold or in your face their speeches or confrontations with others in the past may be, exaggerations and lies of omission are still dishonorable and not worthy of my vote or support and in need of being exposed to voters, regardless of party affiliation. If we are to have honorable, truthful and reliable elected officials, it should begin in honest and open representation of any Military Service claimed.